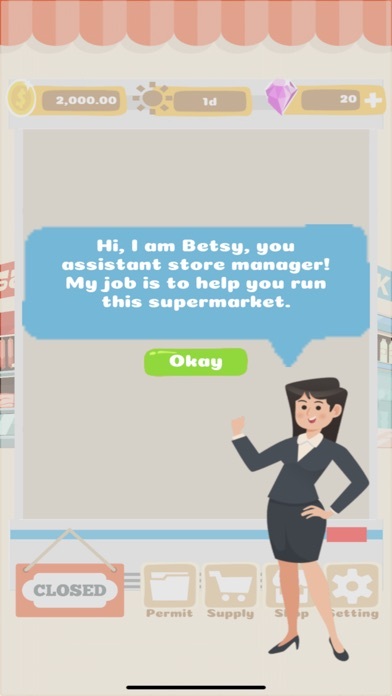 Run a supermarket and grow your revenue. 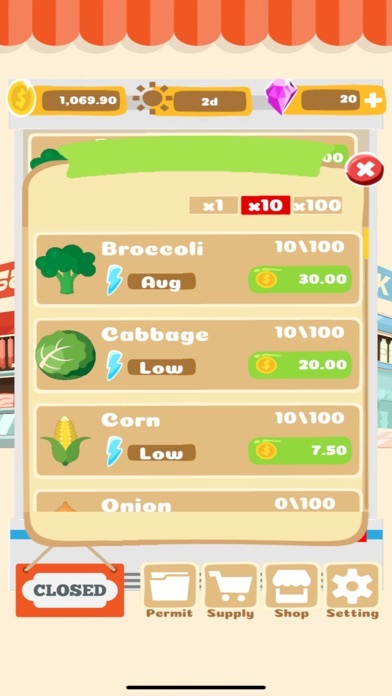 Stock the supermarket with popular items and serve shoppers daily. 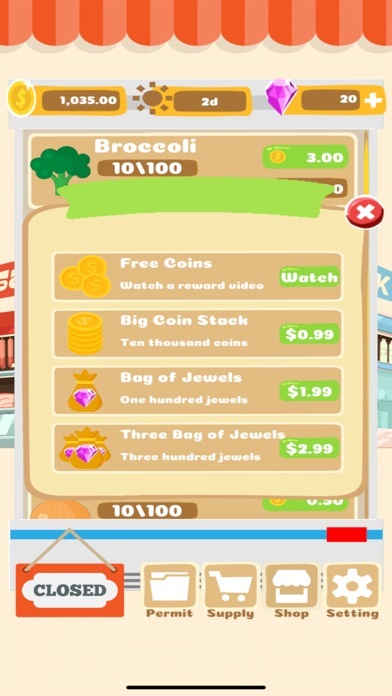 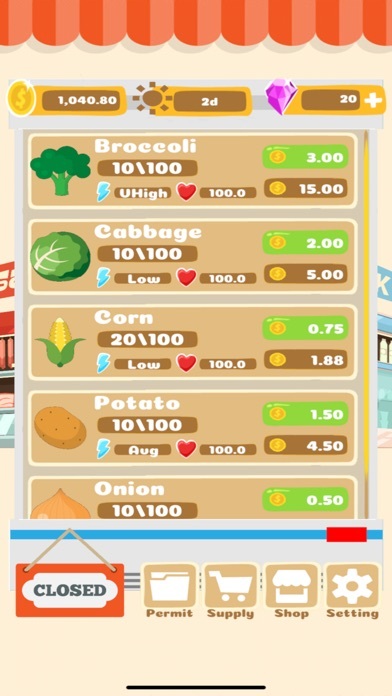 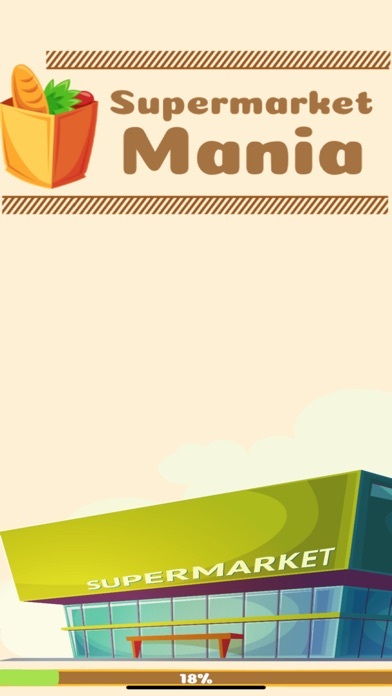 Boost item popularity and freshness to maximize profit.